Sunday 13th January 2019, Al-Arabiya.net. 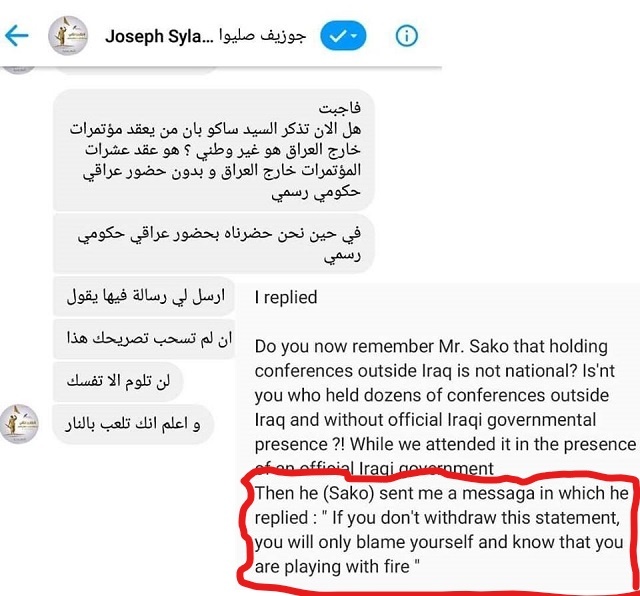 Iraq, Former MP Joseph Sylawa unveils being threatened by Cardinal Sako: After revealing documents proving the sale of properties belonging to the Chaldean Church in Iraq, Former (member of the Parliament) MP Joseph Sylawa has filed a lawsuit against the Chaldean Patriarch Sako, after receiving threats from the later via text messages on his phone. 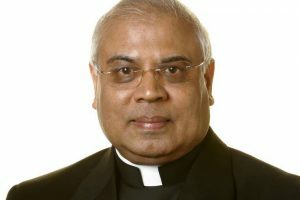 “There are contradictions in the declarations of the church, which initially denied selling the church’s properties, and then defended itself after the sale documents were revealed,” Sylawa said in an interview with Al-Arabiya.net, He also explained that the church’s properties are either property granted by the Iraqi state or persons who are adherent to the mission of Christ, who make up the Church in its moral sense , Noting that the clerics or any person is not entitled to sell them, unless the need arises, to be done through legal assets and in accordance with Iraqi law through the auction. It is noteworthy that the former MP Joseph Sylawa, has revealed to the Al-Arabiya.net. Documents related to the sale of a 2000 meters property area in ​​Raghba Khatoon district, Adhamiya, central Baghdad, for one billion dinars, equivalent to about 850 thousand dollars. 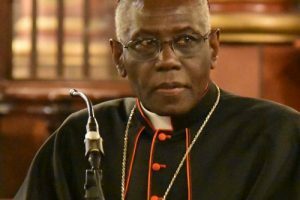 Sylawa added that: “If the Patriarch believes that it is not permissible to interfere in the sale of the Christian lands of the Church, we can say that it is not right for Patriarch Sako to intervene in politics and to support a particular political faction to another, Indicating that this embarrassed the church and dispersed the ranks of Christians, especially as the government did not take into consideration what the Church has suggested. “Filing a lawsuit” Sylawa confirmed that he had received threats, because of his posture from Patriarch Sako, since 2017, but did not go on with the complaint procedures in the Karrada Court in Baghdad at that time, to prevent splitting among the sect. 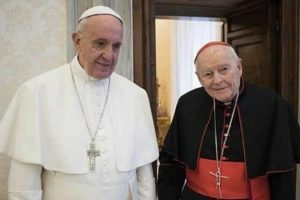 However, he stressed that he will proceed with the legal, canonical proceedings against the Church, after his silence was exploited and abused through what he described as transgressions, to unveil the whole truth in front of everyone. The Chaldean Patriarchal secretary In charge of the Media “Maher Youssef “explained through the site of the Babylonian Patriarchate of Chaldeans that there were no legal impediments to selling plots belonging to churches, He also stressed that each church president has the right to dispose of its property in accordance with the republican decree, adding that there are legal and fundamental restrictions and licenses for sale. Furthermore, Tension between representatives of the Christian component increased after Patriarch Sako has nominated a name to the post of “Minister of Displacement and Migration”, As some political forces considered this a severe intervention by the church in politics, This controversy was followed by the publication of documents about land and properties belonging to the Catholic Church in Baghdad, which were sold by the Chaldean Patriarchate in Iraq.